BCA sponsored bike ride completed 7 days early! BCA sponsored bide ride completed 7 days early! 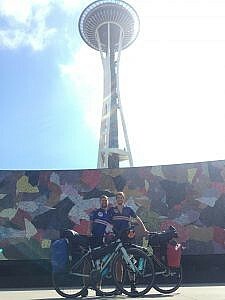 Congratulations to Ben Boddington and Albert Thornton who have completed their cycle trip from Boston to Seattle in just 53 days! The boys cycled almost 4000 miles over 15 states and have so far raised over £8,000 for CALM, a mental health charity in the UK who work to prevent male suicide. All of us at BCA are proud to have sponsored this event and send our congratulations for a job well done! This entry was posted in News on 16th August 2018 by adminBosham98.